Let’s address, up front, the funny name. We get it. If those 16th Century Spanish sailors knew the kind of grief with which they’d be saddling this remarkable group of birds for all time, perhaps they would have had something resembling empathy for those who will be forced to live with the ramifications of their irreverence. But sailors are notoriously unconcerned with decorum no matter what era from which they come. Puerile references aside, the actual story behind the bird’s name is potentially worse. 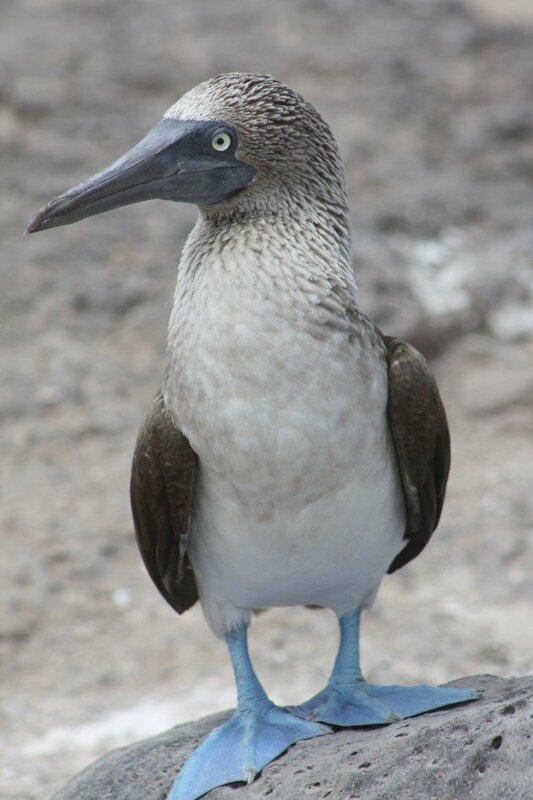 Even if booby’s etymological origins comes from the bird’s reported naivete when it would land on the masts of ships to be captured and eaten – bobo is reportedly slang for stupid in 16th Century Spanish, from whence we get “booby” – then that is hardly evidence of stupidity; though admittedly, a booby on land is awkward to the point of parody. It’s a shame that these kamikaze diving, dagger billed, ocean wanderers are forever saddled with that unfortunate moniker simply for the fact that they were unfamiliar with the danger inherent in a boat full of hungry seamen. At least the juvenile version that persists has a sort of provocateur’s cache. Who doesn’t prefer the outlaw to the imbecile? 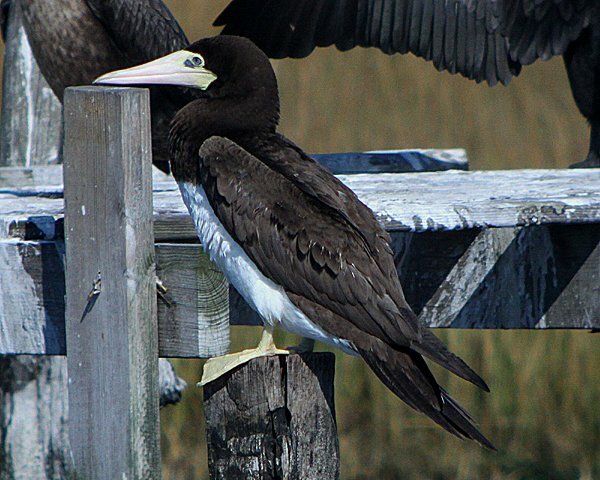 Because when we look at the birds that make up the family Sulidae – not just the tropical boobies, but their burly temperate-zone cousins the gannets as well – we see a pretty incredible group of birds. Ocean-going species often seem to have more overt adaptations for success than landlubbers, perhaps that’s because the ocean is such an unforgiving ecosystem. The line between success and failure is an exceptionally fine one, but the Sulids vault it with ease for reasons both obvious and subtle. 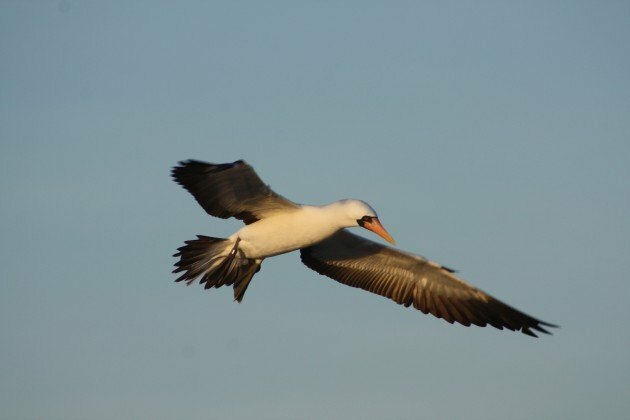 Sure, the long wings enable the birds to cover vast distances with ease, and boobies, in particular, are well know for turning up in odd places. The feet are webbed, but exceptionally so. The order Suliformes, within which boobies and gannets are ensconced consists of several aquatic species with totipalmate feet, which means that all four toes are webbed. Suliformes also consists of frigatebirds and cormorants, aquatic birds with foraging strategies quite different that boobies and gannets. And what is that foraging strategy? Why, nothing short of a mad plummet from meters above the water’s surface directly into the ocean. A surprise plunge attack, at varying angles and varying heights, and it’s interesting that in places where more than one species of sulid co-exists that the plunges take on slightly different tacks in slightly different places. 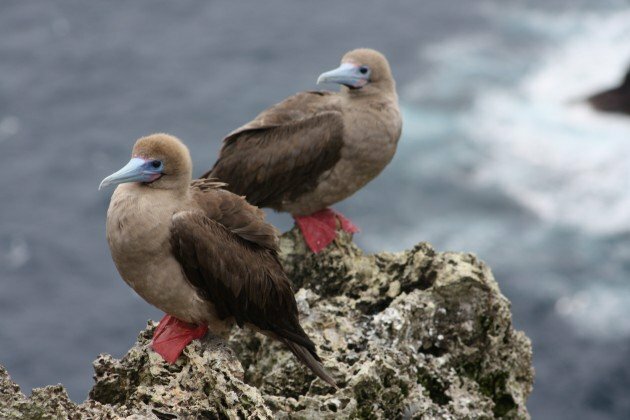 In the Galapagos, for instance, where Blue-footed Boobies, Red-footed Boobies, and Nazca Boobies all co-exist, they find different places to forage, with Bluefeet close to shore, Redfeet far out to sea, and Nazcas somewhere in the middle. The plunge-diving is spectacular, and the birds will sometimes open fire from as high as 100m above the ocean’s surface. Osprey and Brown Pelicans can pull off some impressive dives, but the none have the panache of a Sulid. They pull back their wings almost the point of absurdity and aim straight down like a feathered arrow, slipping below the water’s surface with minimal splash. That seemingly effortless submersion belies the violence inherent in striking the water over and over again over the course of a booby’s life. And it’s in service to this foraging tactic that the Sulid’s most unique adaptations are employed. 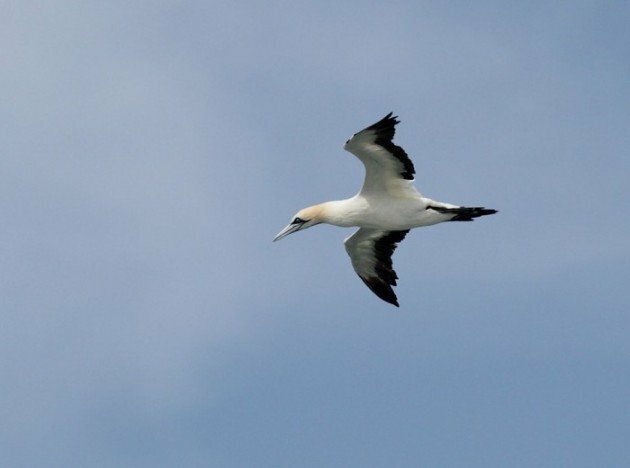 If you ever get a close look at a gannet or a booby, you may notice that they don’t seem to have any nostrils. And they don’t… on the outside of their bill. The nose is in fact hidden under the upper mandible so as to prevent water from being forced into the bird’s trachea on a dive. So that’s cool, but even better are the internal airbags, sacs just under the skin on their face and chest that cushion the water’s impact on internal organs. 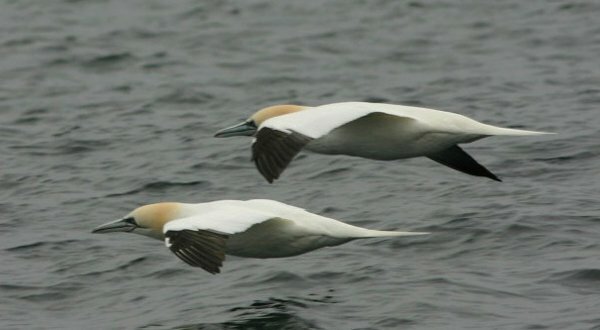 And though it is reported that gannets and boobies eventually go blind from plunge-diving, there’s no evidence that this is true. As is usually the case, the truth is far more interesting. Fact is, these are birds who evolved to take advantage of high-stress, high-stakes live as an avian projectile. Those Spanish sailors had it all wrong. Their loss. I have not used Bird tacx but can see it’s usefulness. I have spent many years birding Cuba where Brown Booby are often seen along the coast. Here in maine I have enjoyed many years of watching migration of marine species like Northern Gannet moving south west along our amazingly rock coastline. Today was a spectacular example of the southern migration. Even had a Harlequin Duck today!! Where Are You Birding This Second Weekend of November 2013?